My girlfriend and I ran across a stray kitten twice this weekend (once near the corner of India and Manhattan and later on the corner of Franklin and Huron). We decided to take him in last night, but want to see if anyone is missing him. He looks a couple of months old, with black and white fur, and he’s clearly had an owner since he knows the litter box and is very friendly. He had been outside at least 2 days, but could have been more. 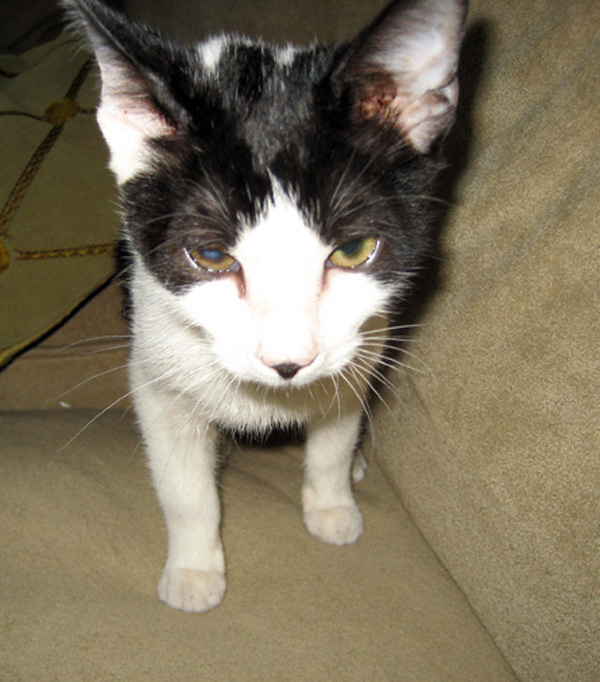 He has fleas and might have a condition with his right eye. We’re taking him to the vet when they re-open tomorrow. Could you help us by posting his picture or recommending sites for lost cats in the area?